As the game flipped from 3rd to 4th quarter, the dynamic changed, too. Tulsa gets two false starts and they settle for a field goal. Tulsa has a 9-point lead with just over 13 minutes to play. On the ensuing drive, Mulbah Car ran for 6 yards on first down and Marquez Stevenson picked up 8 more on the next play. And that’s when the fun began. 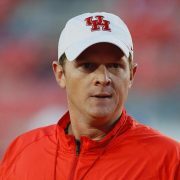 Over the next 19 plays, spanning 7 different drives, UH would go on a 24-0 run. On first down from the UH 39, D’Eriq King gets a seal block from Mulbah Car and goes around the right edge and flies 61 yards for a score. A thing of beauty. Check out how the OL walled off pursuers and Car eliminates the linebacker. King takes it to another level to evade 3 DBs and sails up the far sideline. After the score, Tulsa goes right back to the offense that led to the dominant 3rd quarter. After a one-yard gain on first down, Tulsa’s Corey Taylor took a hand-off and bounced it to the outside. As Taylor was going down, his right leg was twisted up – possibly by his own teammate, WR Justin Hobbs. He gained 8 yards on the play setting up 3rd and 1. Taylor bounced up and immediately tapped his helmet looking for a sub. But Montgomery and staff waved him off and kept him in the game. And then, from 6 yards deep, they handed it off to him on a critical play. David Anenih came unblocked and wrapped him up for a two-yard loss. Drive over. Tulsa was so desperate to go fast that they kept a dinged-up guy out there, choosing tempo over expediency. And then they put him in an impossible situation. I’ll never understand a QB handing off from the shotgun on 3rd and 1. And I don’t understand why you don’t get fresh legs in for an important play in a two-point game. After the punt, UH went on a run-heavy eight-play drive (7 rushes, 2 throws) and kicked a field goal to take a lead (27-26) they’d never give up. At that point, Philip Montgomery lost his composure and Tulsa lost their identity. After a short run on first down, Tulsa QB Seth Boomer drops back to throw and is sacked by Austin Robinson. The next 3 plays ended any chance of a Tulsa comeback. On 3rd down, Elijah Gooden gets to Boomer for another sack and pops the ball out. 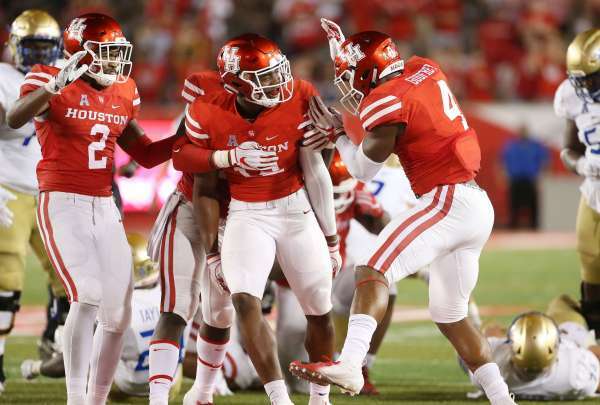 Emeke Egbule recovers the fumble for the Coogs. On the first snap after the change of possession, tight end Romello Brooker runs a two-yard out and catches a quick pass from King and scampers in for the score. Tulsa gets the ball back and Boomer immediately throws into double-coverage. 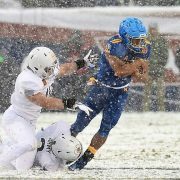 Deontay Anderson picked it off to complete the Tulsa meltdown. Three plays. Two turnovers. A UH TD. And all in just 13 seconds. 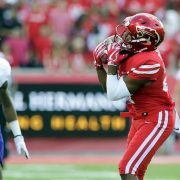 Two players later, Marquez Stevenson scored from 6 yards out to put UH up 41-26. Why did Tulsa go from the ground and pound offense that dominated the 3Q into a drop back team with a first-time starter in the 4th? That’s just poor play-calling and abandoning your game plan. 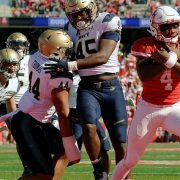 But credit the Cougar defense for taking advantage of the opportunities presented to them: two false starts, a dinged-up running back, a forced fumble, and an INT. And the UH offense scored 24 points on just 20 plays. The three touchdown drives in the quarter totaled just 67 seconds. For 15 minutes, we finally saw what this team is capable of doing. Stick It In Your Pipe And Smoke It! Do you appreciate stories about UH? 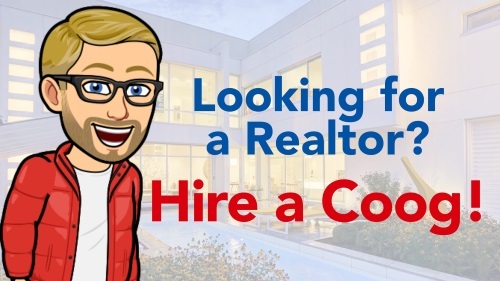 Subscribe to our posts! 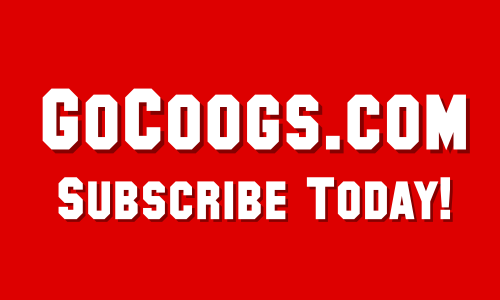 Get all GoCoogs.com stories in your inbox.